AMG-P Series plastic pipe granulators are mainly used to directly crush PVC and PE tubes, PVC sectional and profiled bar. The machine is applicable for crushing long pipes and profiles. The optional Suction Conveying and Cyclone Dust Separator System bring recycling efficiency into full play. The machine is characterized with compact structure, attractive appearance, convenient operation, optimized rotation knife to achieve lowest energy consumption and higher cutting efficiency. >Outside bearing seat design, in order to avoid the dust entering into the bearing, insure a long time using life. 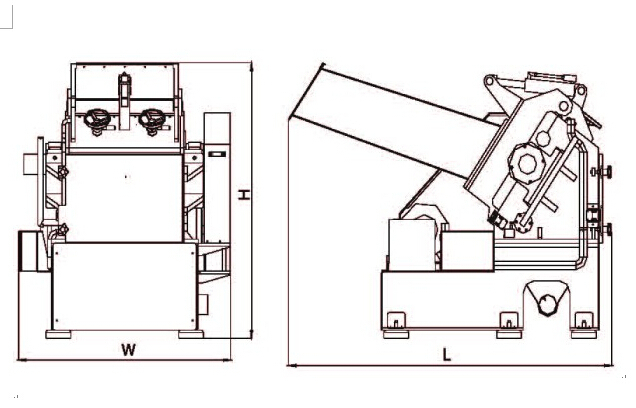 >Separation design for machine body, convenient for replacing the screen and blades. >Overload protector for motor and interlock device, double protection for the safety of personnel and motor. >Special knife blade structure adopting shear principle, made of high contented chromium steel, crush various plastic in an easy way. > The space between rotating and fixed blades is adjustable. The blades can be dismounted and resharpened when they are blunt after long time using. > Standard hydraulic system to open and close the cutting chamber. 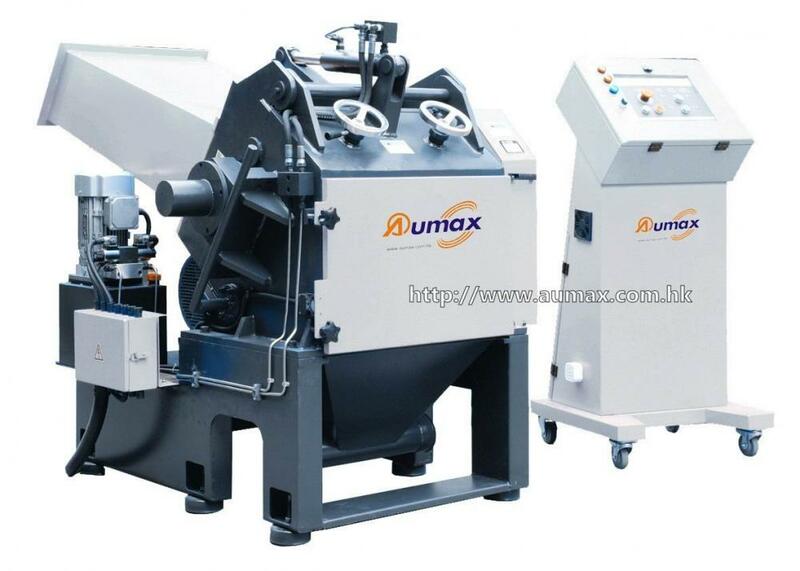 > Optional blower conveying and cyclone dust separator to reduce dust and save man power. > We have blade material 6CrW2Si and SKD11 (D2) for customers` option. >Equipped with shock-proof feet, reduce the noise and vibration. 1)"•"is standard allocation, "Ο" is selection purchase. 2) The maximum output capacity depends on screen mesh diameter and material quality to be granulated. 3)The running noise depends on varied shredding material. 4)The machine voltage specifications is 3Ø 380V 50Hz. The voltage can be changed according to customers` request. Looking for ideal Plastic Pipe Crusher Manufacturer & supplier ? We have a wide selection at great prices to help you get creative. All the Plastic Pallet Crusher are quality guaranteed. We are China Origin Factory of Plastic Profile Crusher. If you have any question, please feel free to contact us.